Today I am starting a Civil War Opera Hood and to start I am casting on 220 stitches. I tend to have a really tough time keeping track of my counting once I get to numbers more than 100. I know it doesn’t seem like a huge deal but when you are headed to 220 and loose count at 189 for the second or third time frustration grows. I have found a solution!!! I just put a place marker at the 100 marks, now you can always add one at other increments but I have found this works well for me. Now this isn’t going to be a place marker that is for the pattern and if you pattern does call for place markers make sure to remove this casting on one ASAP. Let’s not add to the confusion of some patterns. I tend to leave it in when working on the Opera Hoods, blankets and other straight forward patterns. The main reason, well the only reason, that I do this is so I can feel like I’m getting there. 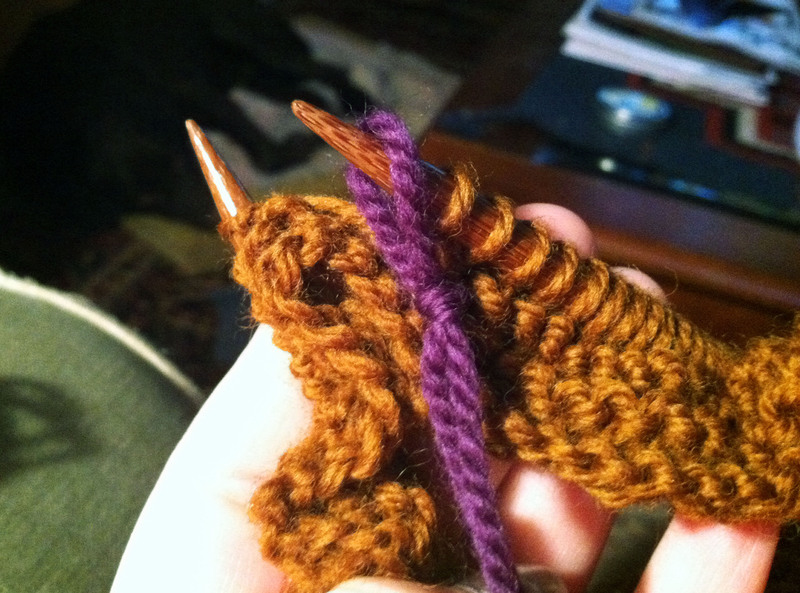 Row after row of knitting with the same color can start to feel never ending so running into a lovely contrasting color marking your progress can lead to joyful feelings. Ok so here are the details for the yarn that I am using it is for an Etsy custom order and luckily I had the perfect color in my stash. Honestly it has been there a few years. 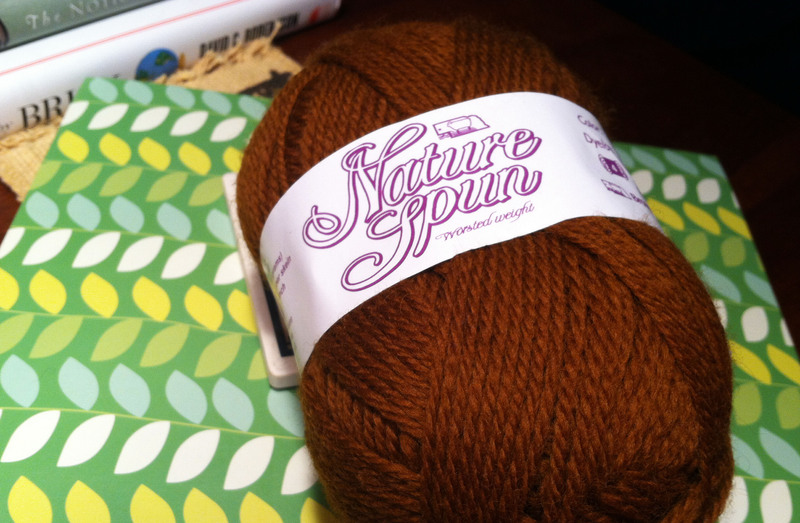 I picked up the Nature Spun, in Chocolate Kisses, when a local yarn shop closed many years ago. This is a great wool from the Brown Sheep Company, not machine washable so be careful, I have used it for many of the Civil War era items I knit for reenactors that want the authentic feel. 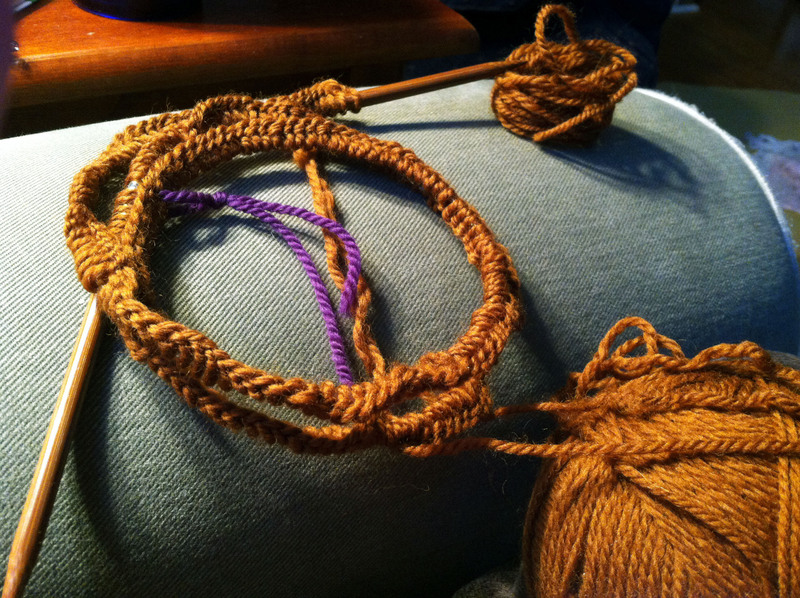 This skein is a worsted weight but they come in 4 weights and tons of colors. As a side note if you do want to felt this wool turns out nice, I’ve done a pair of slippers and a couple bags felted as gifts and haven’t heard anything bad about it holding up. 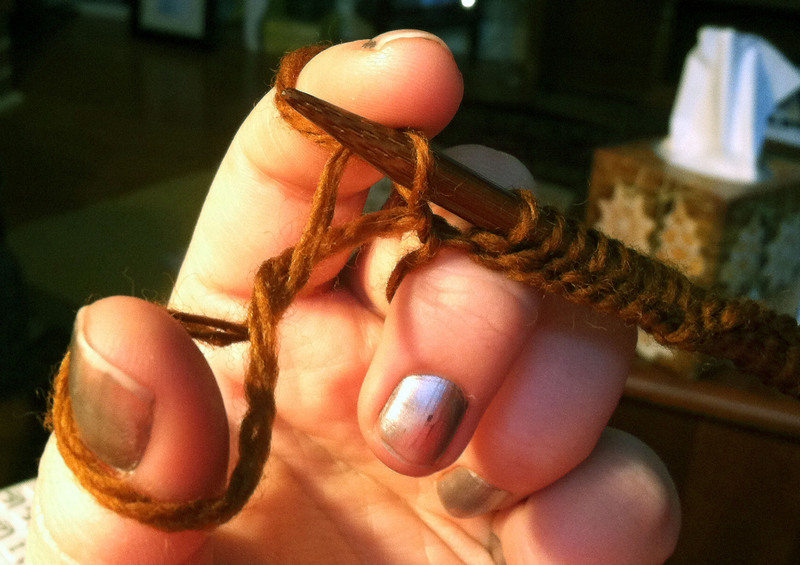 What yarn have you had in your stash for longer than you would like to admit? I’m 62 and my grandmother died when I was 17. I have her knitting needles and some of the last yarn she ordered, a box of black angora and skeins of variegated pink mohair. I always told myself I would make something special. So far, nothing has been special enough. I agree you will need to find something wonderful to make that will always remind you of her. Keep looking you never know you might find something perfect.